A Few weeks ago, I was talking about the exciting new colors my wife and I were going to paint our house this summer. Then, we found out we had termites and carpenter ants living in our yard. It is for that reason, that I have to get everyone's opinion regarding our newest project. We have unfortunately discovered that our original masonite siding has been destroyed by carpenter ants. Thankfully, they have never gotten into the house, and everything underneath the siding is perfectly fine...it's just that the siding is irreparable. 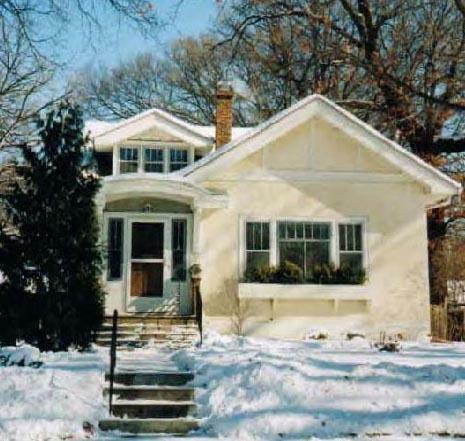 So now, we have decided to replace all of the siding on our home, except for the "decorative" vertical cedar siding on the front of the house which, by the way, is completely unscathed. I've listed the four above in the order of total cost to replace, with wood being the most expensive, and metal being the least expensive. There are many pros and cons to each siding, as I'm sure many of you already know. However, after receiving the bids and researching extensively, we have decided against wood (too expensive) and metal (too cheap and doesn't hold up well in our climate). This leaves us with fiber-cement and vinyl. Yes, I know that most of you think that vinyl is the anti-Christ of sidings, but I've done my research on it, so I am fully aware of its pros and cons. On the other hand, I really love the fiber cement. I love that it's just like wood, only without the maintenance. 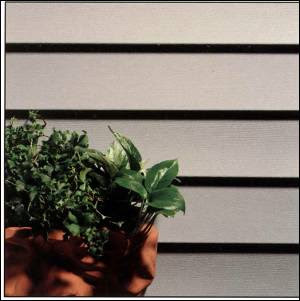 The only problem with the fiber cement siding is that it costs about $3,000 more than vinyl, and it has to be painted. What do I do? Wouldn't you agree that anything is better than carpenter ant infested, rotting masonite (which actually is worse than any of the sidings mentioned above). Thanks for reading this...I just felt the need to put this all "out there". they say that vinyl is final, but I've seen plenty of vinyl siding jobs that look so nasty after several years. They still require maintenance like power washing etc, from what I understand (I don't have vinyl) I like the idea of the fiber cement if you can't do the wood. I personally still have the original 1950's asbestos shingles which I'd love to rip off, but are in decent enough shape for now that my money gets spent elsewhere. Some day I'll face the same question you are, and I wonder what I'll do. I'm sure in the end it will end up looking gorgeous. 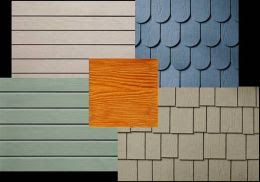 Fiber cement lasts much longer than any of your other options....wood being a close second. It also takes paint very differently....and the paint jobs are very long lasting. This could make it a more economical choice int he long run. Besides it looks 1000 time better than vinyl or metal (I won't say it out loud, but I'm thinking anti-christ). Thanks for your comments. I'm already leaning toward the fiber-cement. I just like it better. While I really would prefer to keep all of the original siding, it's just in overall terrible condition (even aside from the carpenter ant damage). The company I am planning on working with is totally honest and aren't pushing me into doing anything (although I've had my share of salesmen selling me more than I needed or wanted). They actually push the fiber-cement more than the vinyl. Anyway, to make a long story short, I'm thinking that even if I do go with vinyl, it is still better than what I have now (wow, I never thought I'd say that). Well, for what it's worth...and the huge surge in popularity in mid centry homes....I'd think of your house as historical. I love the typical wide shake look your house has now...it's so representative of what you think of as midcentry (my parents 1959 ranch has the same look). At some point in the last 20 years one of the PO's of my house was thinking the same thing as you are now. I'm currently tearing down the aluminum they put up at that time ;-) (and cursing them). Several years ago their was an article in my local newspaper that said that the Historical Commission wanted to list the houses built during the post-war era on the National Register, including my humble Campanelli style ranch. I don't know if that actually ever happened, I should look into that... if I ever found time (ha) Hey, maybe I can erect one of those historical markers like "circa 1957" to my Campi! Anyway, in my humble opinion, I think that your house is historical... and I am glad to see you are leaning towards the fiber cement siding.